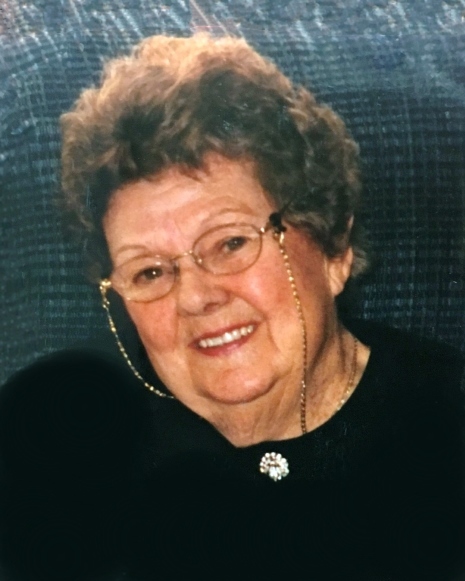 Blanche (Belair) Bisson, 94, of Methuen passed away on October 23, 2018 at Cedar View Rehabilitation and Healthcare Center in Methuen. Born on May 16, 1924, she was the daughter of the late Albert and Blanche (Desharnais) Belair. Born in Lawrence, Blanche attended St. Mary’s Grammar and St. Mary’s High School. She was a homemaker attending to her family’s needs. Blanche’s most treasured moments were times spent with her family. In her earlier years, she loved helping the sisters of Notre Dame. She was also an avid Red Sox fan, never missing a game. Blanche was a loving, compassionate, kind woman who will be truly missed by all who knew and loved her. She was predeceased by her loving husband, Roland J. Bisson; and brothers, Phil and Emile Belair. Blanche leaves her only daughter, Patricia (Bisson) Hyatt of Methuen; granddaughters, Erika Dion and her husband, Richard and Erin Sutliff and her husband, Craig, all of Methuen; great-grandchildren, Kylee and Madison Dion, and Aiden and Declan Sutliff; adored sister-in-law, Millie Belair of Methuen. She also leaves many nieces, nephews, and extended family. Relatives and friends are respectfully invited to attend visiting hours Thursday, October 25, 2018 from 5:00-8:00 PM at Cataudella Funeral Home, 126 Pleasant Valley St., Methuen. A funeral mass will be held Friday, October 26th at 11:00 AM at St. Monica Church, 212 Lawrence Street in Methuen. Burial will be at St. Mary – Immaculate Conception Cemetery, Lawrence.